MADISON, N.J., May 1, 2017 /PRNewswire/ -- Quest Diagnostics (NYSE: DGX), the world's leading provider of diagnostic information services, today announced that its senior vice president and chief information officer Lidia L. Fonseca has received a 2017 Forbes CIO Innovation Award. The award, presented during the Forbes Innovation Summit on April 24, recognizes CIOs of multibillion dollar companies who have demonstrated the ability to generate value through innovation. 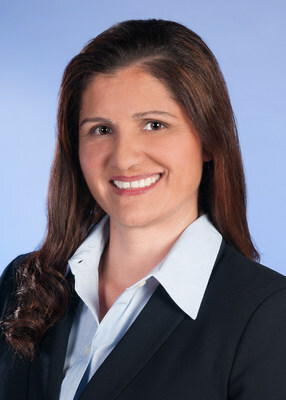 Ms. Fonseca was recognized with the honor largely on the basis of the company's Quanum™ data analytics and information technology solutions, which help providers and health plans connect across the healthcare ecosystem and analyze health data to improve quality, health and financial outcomes. "Quest Diagnostics is the world leader in diagnostic information services, with broad capabilities in data analytics and information technology that make us more than a lab," said Steve Rusckowski, Chairman, President and CEO, Quest Diagnostics. "We congratulate Lidia and our QuestQuanum and Quest IT teams for this recognition." QuestQuanum offerings are divided into two solution sets: Analytics, which include population health management and quality reporting technologies, and Clinical and Financial (formerly known as Care360), which includes revenue cycle management, patient engagement and practice management tools. Key Analytics products include Data Diagnostics, a healthcare analytics solution that helps providers close gaps in care at the point of care, and Lab Utilization, which provides hospital systems with insights into appropriate utilization based on lab data. Quanum offerings are organized and available through digital access points tailored to the needs of customer segments. These include the myQuest™ patient portal for patients, and access points for physicians, health systems and health plans. Quest's solutions are based on capabilities unique to Quest, including connectivity to about 600 EHR platforms and about 450,000 physicians and a dataset of more than 20 billion laboratory test results. Unlike many technology providers, the company's offerings are based on deep experience in healthcare services and relationships with broad sectors of the healthcare industry, from health systems to pharmaceutical companies, that use data and information technologies to create value. For more information on QuestQuanum, visit ddx.questdiagnostics.com/quanum. Ms. Fonseca leads the enterprise-wide Information Technology (IT) function for Quest Diagnostics with an emphasis on using IT and data to drive business transformation and better customer experiences. She is also a member of the Board of Directors of Tegna, Inc. The Forbes CIO Innovation Award ceremony took place during the 2017 CIO Summit, a gathering of influential CIO leaders that explores today's biggest technological challenges, fosters deep collaboration and generates new ideas.